What is it? Long slow distance exercise – LSD (!) for short – is the type of training most people associate with cardio. As the name cleverly suggests, LSD involves covering a relatively long distance at a slow and comfortable pace. How long, how hard? LSD is low intensity and long in duration. LSD entails running at a conversational pace, i.e. you should be about able to hold a conversation during exercise. If you have a heart rate monitor your target zone would be between 50 and 70 percent of maximum heart. LSD workouts tend to be between 30 minutes and 2 hours. If you’re a beginner, start with 30 minutes at a slow pace; as you become more fit, increase the length of your workout and/or speed. If you’re exercising in the “fat burning zone“, then you’re probably doing long slow distance workouts. Why do it? Long slow distance exercise improves your ability to transport oxygen and nutrients to your working muscles, teaches the body to use fat for energy, and makes your body more economic at burning fuel, so that you can exercise for longer before you get tired. LSD develops basic aerobic fitness and muscular endurance. Basically the goal of this type of training is to run/ swim/ cycle for longer. Drawbacks. In long slow distance exercise, your main exercise variable is duration. In other words, you increase the distance or the duration of your workout as you get more fit week by week. This is fine up to a point but what if, after months or even years of diligently increasing the length of your workouts, you find you can exercise continuously for hours at a time? 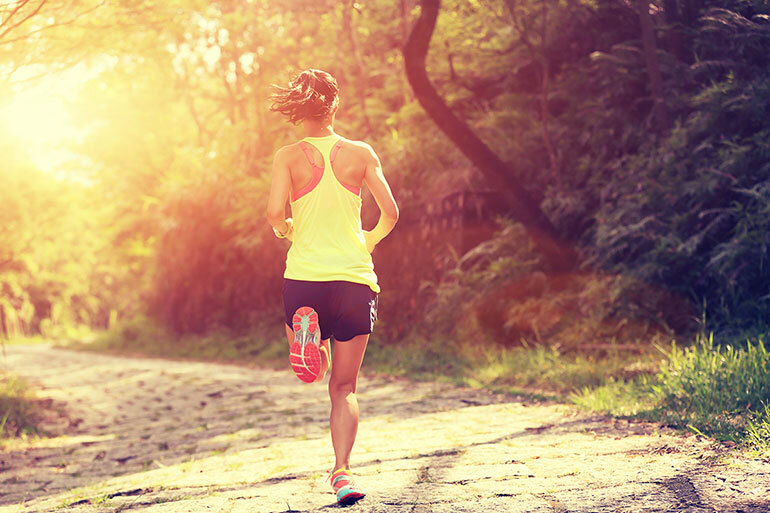 And that’s main drawback of LSD training; at some point you will reach the point of diminishing returns and rather than see a marked improvement in your fitness, you’ll hit a plateau and start to accumulate “junk miles” – a running term that describes time spent training that provides little in the way of results. Another downside is that if you want to run faster and not just longer, you’ll need to do more than simply run mile after mile at a slow and steady speed. Who should do it? Long slow distance training is an important part of training for endurance activities, for example marathons or long distance cycling.LSD is less intense and stressful on the body, and less mentally taxing than the other types of training, making it’s suitable for beginners. LSD training also lends itself well to group workouts. How to use? Long slow distance exercise is great for beginners, and can be done almost every day because of its lower intensity. However, if you’re no longer a beginner, don’t get hooked on LSD – it’s only one weapon in your cardio armory. For it to be most effective combine it with other forms of cardio training. Use it but don’t abuse it if you want to see your fitness levels climb ever upwards. Example workout – forty minutes of easy paced running. At the end of such a workout you should feel you had plenty more “miles left in the tank”.